Billy Coutu, who earned many penalties with his rough play and was banned for life, also appears to be the first NHL player to have a call rescinded by an official. Over the years that has been the normal attitude of hockey referees. Even if they admitted later than they had blown it; when it came to their decision on the ice—it stood—right or wrong. Arguing until a face took on a blue tinge made no difference. In fact, the normal result was a misconduct penalty. That stance has changed somewhat it recent years. It is mainly because of video replays—often displayed on giant screens in arenas—in living colour for all and sundry to see. On February 15, 2015, Sidney Crosby frowned and grumbled all the way to the sin-bin, after being called for tripping Johnny Oduya during the Pittsburgh/Chicago contest. He was already seated, still fuming, in the box, when the officials concluded a huddle—and he was told the call had been cancelled. On March 28, 2017, the Leafs’ Roman Polak was whistled down for high-sticking Florida’s Jonathan Huberdeau in the face. Initially, even the replay showed Polak’s stick lifted near his opponent’s kisser. The four powers-that-be conferred to discuss the alleged violation, and announced publicly that a review confirmed the penalty. As Roman ground his molars in the pokey, suddenly there was a rumbling throughout the stands. The Jumbotron had shown the play from a different angle revealing that it was the puck which did the damage—not a stick—and the Toronto rearguard was released from this prison. These incidents refer to reversed penalties—cancelled on the spot. Rescinded penalties involve erasing the statistical chalkboard at a later time. They have already been entered into the records — having been served as they were handed out. But they have been removed for future reference. On April 17, 2015 the Calgary Flames and Vancouver Canucks clashed in a playoff contest. During that game there was a “puck-drop line brawl”, according to the local press. Deryk Engelland tangled with two opponents, Dan Hamhuis and Derek Dorsett. The former was handed two fighting majors, three game misconducts, and an instigator penalty. But the league withdrew one of the game misconducts so he would not be suspended for Game 3 of the series. On December 18, later that year, the Capitals’ Tom Wilson was ejected from the game against Tampa Bay for a hit to the head. The next day Washington’s powers-that-be appealed to the league to rescind the sentence in order that he could play in the next game two nights later. For some reason the NHL capitulated. As already stated, with the advent of video replays, that kind of judgmental U-turn has not been uncommon. But the cancellation of paying the price for on-ice misdemeanours is not new. There are examples in shinny lore going back more than a century. Right from the beginning, hockey at the major league level was fraught with brutality. Throughout the duration of the AHAC in 1886, the CAHL, the ECAHA, the NHA, and even the early seasons of the NHL, dirty play was the order of the day. In one 1907 newspaper report, an older puckster claimed that a match between Ottawa and the Montreal Wanderers was “the worst exhibition of butchery he ever saw”. The typical attitude toward such behaviour was revealed when, at a special league meeting about the mayhem, the motion to have the guilty parties suspended failed to carry. The current league President, Mr. McRobie, resigned his position in protest. This wishy-washy administration was further demonstrated when that same Quinn “fined Cleghorne $50, and suspended him for four weeks. However the suspicion did not stick”. He was back in the line-up after missing a single game. However, some sentences did prevail, albeit for a short duration. As the result of a Skene Ronan and Con Corbeau abandoning their OPHL Toronto team to join the Temeskaming League they were “expelled for life”. But the latter skated for Berlin two seasons later. Some punishments were apparently removed—though seemingly in an informal fashion. In February 1916, Ken Randall (the “Pepper Kid”) was “suspended indefinitely”—but was back in regular spot the next game. In 1917, a duplicate conviction and pardon involving the same Randall went into the game’s archives. While there seemed to be a decrease in roughness with the NHA morphing into the NHL, partly due to President Calder’s diligent hand of discipline, it by no means vanished. On April 13, 1927, the feathers hit the fan in a big way. It was a violent game, generally speaking. Near the end of the match tempers flared and several fights broke out. One newspaper called it a “rowdy free-for-all which imitated gang warfare at its worst”. The coup-de-grace was Boston’s Billy Coutu’s all-out war on the game’s officials. He initially tripped referee Laflamme; then chased him down the corridor and floored him. He then attacked his assistant, Billy Bell. Frank Calder was on the scene shortly and made a quick assessment of the situation. Coutu (sometimes called Couture) had “a resume dotted with altercations”. One writer offered: “No tactic was too underhanded or brutal for him….” In one game he bumped the official and was fined $10. By the time the contest had finished he added nine more infractions—or $100 worth of mischief. The next significant erasure was published in the Montreal Gazette on February 19, 1935. “A blot on Frank Boucher’s clean playing record was removed here last night with announcement by President Frank Calder, of the National Hockey League. That the clever centre has not served any penalty this year. In the lists of the past week or two Boucher was credited with two minutes in the penalty box in 37 games, but Calder stated it was a scorers’ (sic) error and the leading assist-maker in the league and perennial winner of the Lady Byng Trophy still has a clean slate”. Apparently “all was quiet on the Western front” in this regard, until the Hockey News reported a change of heart concerning a game misconduct called against Calgary’s Joe Nieuwendyk during the November 67, 1988 match against Hartford. 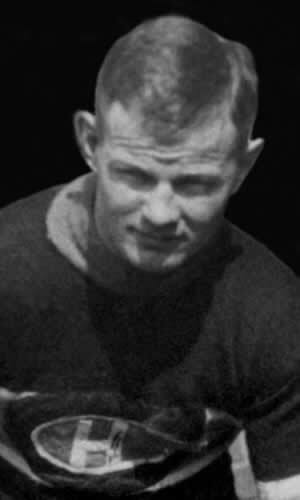 Brian O’Neill, the league’s executive vice-president ruled referee Paul Stewart erred in identifying Nieuwendyk as the player who accidentally high-sticked left-winger Jody Hull. The replay showed Rob Ramage’s stick was the one which clipped Hull. The 15 minutes was deducted from Nieuwendyk’s totals. It will soon become apparent that not all chastisements were mistakenly assessed to members of the shinny “Mr. Clean” club—thus prompting second look. On March 2, 1993, Marty McSorley was given a major penalty for cross-checking Theo Fleury in the final seconds of the Kings/Flames tilt. That violation would have cost the belligerent enforcer a three-game suspension. Los Angeles sent a video tape of the confrontation to the NHL, which showed that he actually punched the Calgary speedster, while holding the stick with his other hand. It pays to be truly innocent regardless of seeming wrong-doing. Alexei Kovalev was chosen as an All Star during this stay in the world’s premier hockey circuit; but he was never in the running for the Lady Byng Trophy. At 6’1” and 224 lbs, he utilized his size in intimidation as well as his soft hands in scoring. During the 1993-94 campaign, he totalled 154 P.I.M in the sin bin. It was on March 18 of that schedule when he tried to add Chris Chelios as an ad on the dasher. He ran him into the boards hard enough to incur a major penalty, which called for a one-game suspension. For an unstated reason the league wiped that castigation from his stats. Another hefty competitor was Shane Churla. When he was finished his NHL career, he had racked up 2301 minutes in the hoosegow. It was said that he was both fearsome and feared—and for good reason. During his stay with Dallas, in 1995-96, his time on the fence was considerably less that his 333 P.I.M two seasons earlier — at only 168. But he must have had at least one horseshoe hanging over his stall in the dressing room, when the league powers-that-be lifted the pending two-game suspension, the automatic spanking for a fourth game misconduct. On March 31 he had been in fight with Todd Bertuzzi of the Islanders, and the referee assessed an instigator tag and game misconduct. On March 26, 1997, in the midst of action against the San Jose Sharks, Edmonton Oilers’ Bryan Marchment made a beeline for Andrei Nazarov, crashing into his knee, and leaving him a heap along the boards. Like a flash, the Russian winger launched an attempted retaliation for what he considered a dirty hit. He had barely thrown a couple of punches, when the linesmen intervened. Andrei was not about to be denied his revenge. In the midst of the melee he shoved the official and kept punching. Eventually he battled both linesmen and referee Kerry Fraser as well, before he was finally brought under control. The “abuse of officials” earned him an automatic 10-game vacation without pay. But his persistence cost him an extra three, giving him a total of 13 games absence with leave. In early April NHL Commissioner Bettman reduced the sentence to six games. When Jason Marshall got into a scrum on January 14, 1998, it was hardly a surprise. It was one of his five incidents of fisticuffs for the Anaheim blueliner that season. In fact, his shinny biography records 53 fights during his 10 seasons in the Big Time. On that occasion he started the dust-up — his third instigator move that year. It carried a sentence of a two-game suspension. When the league followed up on the clash, they concluded that he was reacting to a sucker punch by another angel with no wings — one Claude Lemieux. So that significant discipline was overturned. The fat was out of the fire for Eric Lindros when a December 26, 1998 mix-up was reviewed by the NHL powers-that-be. The giant forward was originally given a five-minute major and a game misconduct for what appeared to be a slash on Chicago’s Chris Chelios. Again, a video replay to the rescue. The clip revealed that the two had crashed together along the boards. The misconduct was rescinded. Once more, a skater known for his roughhousing tactics was given the benefit of the doubt twice in February 2000. The incident which made headlines involving Peter Worrell was a game against the Montreal Canadiens on February 14th. The conflict earned him a game misconduct. When all the evidence was collected, it revealed that he was the one driven into the boards. That punishment was cancelled. Following a similar mistaken call by rookie referee Mike Leggo on February 23, he was also exonerated. His “elbowing” infraction against the Capital’s Richard Zednik was later proven to be a legitimate shoulder hit. He was cleared of wrongdoing—but that penalty cost the Panthers a 4-3 loss. The best is saved until the last. Everyone’s favourite “Goody-Two Shoes” is, of course, the gentlemanly Rob Ray of the Buffalo Sabres. On January 1, 2001, Buffalo faced off against the Boston Bruins. When the Beantowners scored with just seconds left in the second frame, Mr. Ray charged referee Don Van Massenhoven, and had to be retrained by one of the linesmen. He was assessed a misconduct and a game misconduct—but couldn’t leave it at that. As he left the ice he threw his stick in the direction of the pin-stripers. That resulted in an additional requital—a 10 game suspension. After he had served five of those games, President Bettman reduced the banishment to seven—since he said he had not physically touched any of the officials. Because of easy accessibility to the information highway, it is superfluous to continue focusing on instances of these “on again-off again” disciplinary actions, recorded in the New Millennium. Was there bias, based on sentiment, when Frank Calder and Clarence Campbell wiped clean the misdemeanours of Frank Boucher and Sly Apps — because of their gentlemanly reputations? Was there a mathematical glitz involved when Andrei Nazarov was assessed 13 games for abuse of officials, while that same campaign Matt Johnson was only banished for four—when he actually threw a linesman to the ice? Was Rob Ray granted the “mercy rule” simply because the stick he threw at the officials didn’t connect?